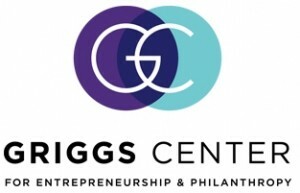 The Springboard Ideas Challenge, sponsored by ACU’s Griggs Center for Entrepreneurship and Philanthropy, has undergone a restructuring for the upcoming competitions. According to a recent ACU press release, Springboard, which launched in 2007, was created to allow local college students and members of the community a chance to pitch their ideas to local investors and possibly walk away with thousands of dollars in startup funding and other resources. Over the last nine years, the competition has awarded more than $400,000 in winnings to aspiring entrepreneurs. For 2016, the program will make significant changes to the overall process. In 2016, the Springboard Ideas Challenge made it easier for entrepreneurs across the Big Country to compete. These first round elevator pitch events for the Springboard Ideas Challenge-Community Division were hosted in Sweetwater, Brownwood/Early, Haskell, Abilene and Snyder, partnering with the Chambers of Commerce in each location to host the event. Participants presented a two-minute elevator pitch instead of submitting a plan or written application. Training and mentors were made available to teams that advanced past the first round of the competition. These resources help to prepare contestants to take their initial idea, and transform it into a working and applicable business model that investors would be interested in. From those five first rounds, 15 teams advanced to the next round. They attended a business model training workshop at ACU on February 28th and are currently in the process of researching and preparing their business model. They will present to another panel of live judges on Tuesday, May 10th. The competition will end in May with the top three teams presenting their final business model to a group of local investors for a chance to win $15,000. The top three teams will be chosen and will advance to the final round. The final round will be held at the Investors Lunch on Tuesday, May 24th at the Abilene Civic Center, from 11:45am-1:00pm. The teams will present their business models at the luncheon and a panel of local angel investors will determine the Grand P$2rize winner as well as the 2nd and 3rd place winners. Prizes to be awarded are: Grand Prize: $15,000, 2nd Place: $2,500, and 3rd Place: $2,500. Guests at the luncheon will include members from the area Chambers of Commerce, Economic Development Centers, Small Business Development Centers, and the Springboard Regional Entrepreneur Network. The Springboard Ideas Challenge-ACU Division participants attended a business model training in early February, researched and then submitted a video presentation of their business model canvas on April 8th. The top teams presented their ideas to a live judging panel on April 14th. Winners will be announced at the Entrepreneur Fellows Program Lunch on April 20th in the Hunter Welcome Center. For more information, visit acu.edu/springboard, call Karen Heflin at 325-674-6485 or email griggscenter@acu.edu.